Everyone has heard how well foreign students, including those from Singapore, do in math compared to U.S. students. But few people understand why this is so. You will have a better idea of why they excel if you check out the Primary Mathematics program for the elementary grades. Primary Mathematics was first published (in English) for students in Singapore, so it was also called Singapore Math when it was first brought to the U.S. in 1998. Homeschoolers are much more likely to refer to it as Singapore Math rather than as Primary Mathematics. 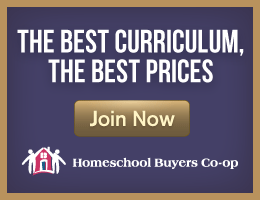 Primary Mathematics has taken the homeschool market by storm, and with good reason. This program teaches children to think mathematically rather than just having them memorize the mechanics of problem solving. Primary Mathematics lays a solid foundation for conceptual understanding using a three-step process, taking children from concrete, to pictorial, then abstract approaches to learning. Concepts are addressed from a number of directions that challenge students to think and understand. Primary Mathematics is more advanced than just about every other math program used in the U.S. There are three different versions: the U.S. Edition that was adapted directly from the version used in Singapore but substitutes U.S. measurements, spellings and conventions; the Standards Edition that aligns with the math standards for California, changing the order of presentation for some topics and adding units on topics such as probability, graphing, data analysis, and negative numbers; and the Common Core Edition, which slightly reorganizes topics to cover those required by the Common Core State Standards (CC). None of these are “dumbed down” to align with standards. The question that arises is which of these editions to choose. The scope and sequence remains challenging for all three versions. A comparison chart at www.singaporemath.com/v/PMSS_comparison.pdf shows where each of the CC standards is taught in each edition. On that chart, you can see that Primary Mathematics continues to teach some standards at earlier grade levels than is required by the CC. Common Core Editions add a few very specific topics, and they review many topics at different levels to satisfy the Common Core. Consequently, those editions have more pages than others. Standards and Common Core Edition textbooks as well as textbooks 1A through 2B in U.S. Editions are printed in full color while the rest of the U.S. editions are printed in two colors. (All workbooks are printed in black and white.) Color might be important for some learners, but the cost is significantly higher for Standard and Common Core Editions. All editions have periodic reviews. While U.S. and Standards Editions have cumulative reviews, the Common Core Editions do not. In the textbooks, concepts are taught thoroughly and sequentially within units rather than in a spiral fashion. The cumulative reviews are the primary means of reviewing previously-taught concepts since they are not addressed again in future units. With the Common Core Editions, the publisher wanted to allow teachers to skip units if they so desire, but to do that the publisher had to limit review to only what has been taught in each unit. Parents can create their own cumulative review by having students complete selected problems from each review, then revisiting problems from previous units at a later date. The supplemental Extra Practice books might also be used to create your own cumulative review. The Primary Mathematics series has levels 1 through 6 which cover material for approximately grades one through six and beyond. The Common Core Editions have only levels 1 through 5. Each level has two textbooks, two workbooks, and two teacher's or home instructor's guides labeled A and B—that's four student books per course. Textbooks range in length from about 80 to 190 pages each. (Common Core Editions are significantly longer than others.) However, textbooks and workbooks are each about 10 by 7½ inches, with uncrowded, large print, so they don't intimidate students. The textbooks might be used either as consumable or non-consumable books. In the latter case, students write answers in a notebook to preserve the textbooks. There are quite a few problems to solve between textbooks and workbooks, so I generally recommend letting students write in the books to save recopying the problems. (None of these books are reproducible.) Correlated workbook exercises are indicated at the end of each textbook lesson. Children should be able to work through workbook exercises independently once they can read directions without a problem. 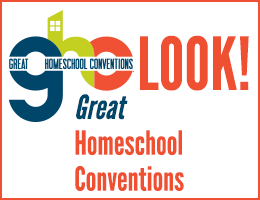 While each level of U.S. and Standards Editions has both teacher's guides and home instructor’s guides available (with the exception of Standards Edition levels 6A and 6B), the home instructor's guides are designed specifically for homeschoolers, are less expensive, and are what I recommend. You do not need both. Common Core Editions have only teacher's guides right now (no home instructor's guides), and these are the only teacher's guides that include reduced pictures of student pages, a very helpful feature. Both the home instructor’s guides and teacher's guides have lesson plans, teaching instructions, and answer keys. 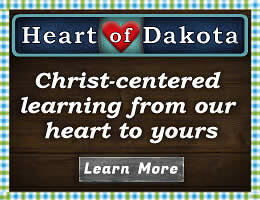 The program requires one-on-one teaching throughout most lessons for the younger grades. Older students can be taught using activities and lesson presentations from teacher's or home instructor's guides, but some students will be able to work independently through the books on their own. The guides incorporate work with hands-on resources, but you can skip those activities if they are not needed. Some children will find the visual representations in the textbooks sufficient. Singapore Math Inc.® carries a number of supplemental books, many of which are keyed to the Primary Math series. Extra Practice books correlate directly with each level of each edition. Check their website for more information. Placement tests are available at their website. If your child is not starting at the beginning of the program, it is vital that you use the placement test to determine the appropriate level. Important note: It is not unusual for a child to place one or two levels below their official grade level. The text stresses conceptual understanding over math-fact drill at this level. Drill suggestions are given in the guides, but you might want to provide opportunity for more practice with math facts using other resources. Practical applications are used in lesson presentation and word problems. In addition to the arithmetic operations, this first level teaches ordinal numbers, shapes, measurement, time telling, money, and graphs. The second level teaches addition and subtraction with renaming (carrying and borrowing), multiplication and division, place value, measurement, money, introduction of fractions, writing numbers in words, time telling, graphs, and very introductory geometric shapes and area. This level has more advanced work on the four arithmetic operations including long division, fractions (equivalent fractions plus adding), measurement, graphs, time, and geometry. It also teaches two-step word problems and mental calculation. It will be challenging for most students to begin this program at the third level if they have been using a different math program. However, the pictorial lessons do help students pick up concepts they might not have been taught previously. Make sure that if you are just starting this program, you watch for this problem, and provide the necessary teaching before expecting your child to do the lessons. At the fourth level, students learn all four functions with both fractions and decimals. Geometry coverage is also very advanced as students compute the degrees of angles and solve complex area and perimeter questions. Students also work with advanced whole number concepts (e.g., factors, multiples, rounding off), money, other geometric concepts, graphs, and averages. Primary Mathematics introduces two-digit multipliers at this level but doesn’t really concentrate on two-digit multipliers and divisors until the fifth level. While students complete quite a few computation problems, the number of word problems seems to gradually increase at this level. At the fifth level, students do advanced work with decimals plus multiplication and division with two-digit multipliers and divisors. They learn to work with percents and continue with advanced work on fractions, geometry, and graphs. Time and rate word problems, as well as other types of word problems, are given a great deal of attention. There are more word problems than drill type problems. Some of the geometry taught at this level is rarely introduced before high school level. For example, students learn to calculate the degrees of angles in a parallelogram given the measurements of only two angles. Students just beginning Primary Mathematics having used something else before fifth grade, will generally need to catch up to Primary Mathematics advanced scope and sequence. You might consider using Math Works! that was designed for just that purpose. Because of this series’ advanced scope and sequence, at the sixth level much of the work is more typical of other publishers’ high school level texts. Students work with fractions, but a typical problem requires students to perform three different operations on four different fractions within a single problem, much like an advanced algebra type problem, although without variables. Common geometry problems are set up in proof-style format, although you need not require students to present their solutions in that format. Among other concepts covered at this level are graphs, algebraic expressions, geometry (e.g., radius, diameter and circumference of circles plus the volume of solids), advanced fractions, ratio, percents, tessellations, and lots of word problems including time/rate/distance problems. It might be challenging for parents with a weak math background to use this level without some assistance. There are a number of supplemental books that you might use along with Primary Mathematics although none of these are required for a complete course. The Primary Mathematics series has an Extra Practice workbook for each course. These are exactly what they sound like—a source for additional practice if it is needed. There are sets of Extra Practice books for U.S., Common Core, and Standards editions, and you need to choose them to fit with the edition you are using—they are not interchangeable. All Extra Practice books are printed in black and white. They include illustration such as those in the textbooks, even though they are not in color. Answer keys are at the back of each book. Extra Practice workbooks for the Common Core editions are substantial with about 200-250 pages per book. They briefly reteach the key concepts covered in the corresponding unit in a section called "Friendly Notes." The presentation in Extra Practice is different from that in the texts, so this might be especially helpful if a child hasn't really understood the lesson. Friendly Notes are followed by one or more exercises. Exercises are generally each two or more pages in length. While many units have about two exercises per unit, especially at lower levels, I did spot units with five and six exercises each. There are generally more exercises per unit at higher levels. Extra Practice workbooks for the Standards editions are very similar to those for the Common Core editions. Extra Practice workbooks for the U.S. editions are about half the size of the Common Core versions. They do not include reteaching material. Instead they have lots of practice problems. Extra Practice books can be used as needed rather than on a regular basis. It is easy to identify which sections you might use to either review the presentation of the concepts and/or to practice those concepts. See my separate review of the Primary Mathematics Challenging Word Problems series. Singapore Math Intensive Practice books correlate directly with the U.S. editions of Primary Mathematics with two books for each level corresponding to the A and B books for Primary Mathematics. These black and white workbooks provide additional practice on what has been taught in each unit of Primary Mathematics as well as mid-year and end-of-year reviews. For each section, there is a large set of problems of various types. There are more visual illustrations in younger levels than older levels. Word problems are presented in a separate section of their own. Word problems are followed by a set of "Take the Challenge!" problems—these are primarily puzzles of the sort you find in critical thinking skill books. While the basic problem sets and word problems can be used with all students, Take the Challenge! problems might be more difficult for some students. Experienced teacher, Brenda Barnett has been licensed by the publisher to provide online teaching assistance for Primary Mathematics courses. Singapore Math® Live is a teaching assistance program and solutions guide for the teacher rather than for the student. Barnett has laid out courses of study for levels 3, 4, and 5 of Primary Mathematics that require you to use workbooks A and B, Intensive Practice A and B, and Challenging Word Problems for each level. (You won't need the Primary Math "textbooks" themselves.) You need to purchase the books separately from other sources. The cost for Singapore Math® Live is $50 per level for 12 months. Levels 1, 2, and 6 should be available for the Fall of 2016. Your subscription gives you access to the YouTube recordings of Barnett's instruction for each week's lessons. At the beginning of each week's "class recording" Barnett writes the pages to be covered in each of the books. The assignment can also be printed as a PDF document. Barnett does not go through the entire lessons in the videos. Instead, she highlights concepts or problems that might pose difficulty, explaining how to teach only as needed. She does work through each of the word problems in both the Intensive Practice books and Challenging Word Problems. We never see Barnett on the videos. What we see, instead, is a whiteboard type screen on which Barnett works out problems while we listen to her voice. Parents will need to spend some time watching Barnett's videos on their own each week with the textbooks in front of them. Once parents are familiar with how to teach each week's lesson and how to help students solve the problems, they can then teach their children. While this requires more prep time each week, it should enable parents to teach effectively as needed and assist their students without having to stop and figure things out for themselves. Sample lessons are available free at the Singapore Math® Live website. Click here to check it out. Note that Singapore Math® Live is a separate company from Singapore Math, Inc., but they operate with the permission and approval of Singapore Math, Inc. While Primary Mathematics is one of my Top Picks, it isn't the easiest math series to teach. Singapore Math® Live should be a big help for those parents who need more guidance and assistance. Marshall Cavendish Education is the original publisher. Distributed by Singapore Math, Inc.
19535 SW 129 th Ave.